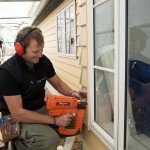 When it comes to renovating or completely redesigning a property, the most important stage comes before any of the work has actually begun. Planning out every detail of your project is critical to the overall result of the finished product, and will determine how much time and money you can expect to be spending. 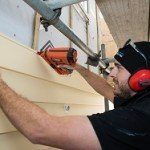 Specialising in building design plans for homes in Auckland and the surrounding areas, our team can help you remodel, or accentuate your dream property. Not only can we work with your own choice of architect, we are also equipped with an in-house team of designers, and our architectural specialists are able to work closely with our builders for a comprehensive end-to-end service. This ensures that any mistakes, confusion or delays are kept to an absolute minimum, improving turnaround times and keeping your project on schedule and within budget. Our building plans are flexible enough to accommodate a vast array of renovation and construction projects. Whether you were looking at adding a new section or single room to your home, renovate the exterior, or orchestrate an entire facelift, our building team possess the necessary expertise. No detail is too small when it comes to arranging your house designs, and we can modify or alter any details to suit your preferred style and appearance. 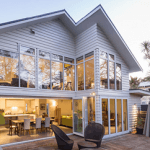 Our architectural design plans aim to offer Auckland home and business owners with complete creative freedom when it comes to achieving that perfect look. Our team is dedicated to your vision and make your goals their own. We cannot emphasise enough the importance of investing in a reputable building planner prior to commencing your renovations. As this is the stage where any potential setbacks and problems are identified early, it’s crucial to have a trained professional as they will understand what to look for. Once these problem areas have been addressed, this will set the pace for the rest of the building process. To schedule in a consultation with our house designs experts to discuss your renovation plans, reach us on 0800 777 977.